Jade and deep Green Aventurine, Mica tinted polymer clay, and completely hand sculpted. 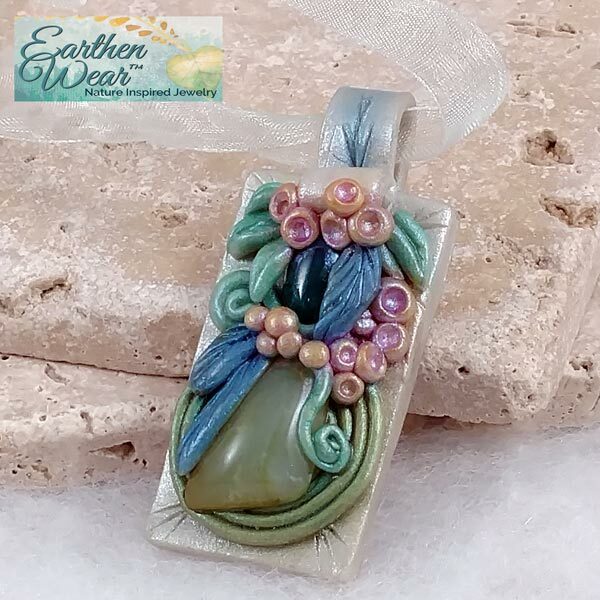 Created in pastel colors with a Jade Cabochon as its focus and a deep Green Aventurine surrounded by blossoms and leaves. 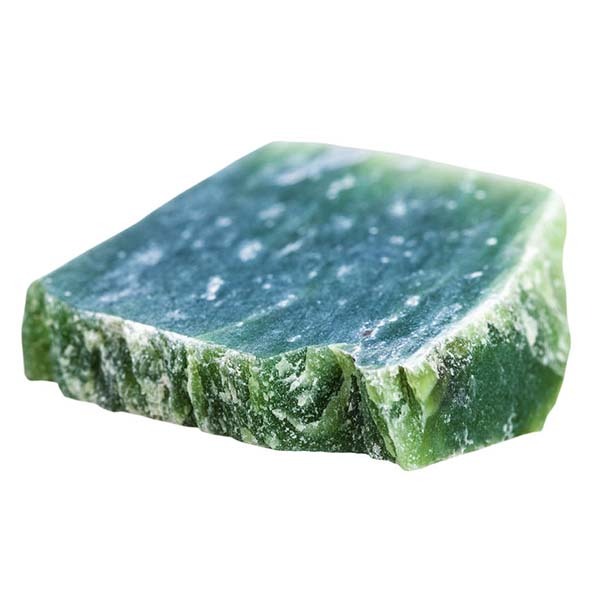 Green Jade opens and heals the heart, frees us from anger, selfishness and greed. Encourages our service to others or to our planet. Pendant is 2-3/8 inches tall, 1 inch wide and 1/2 inch thick.